Granada, and especially the Sacromonte is indeed one of the main reference locations for Flamenco in Spain. The Sacromonte is the birthplace for “jondura” and “duende”. The “Zambra” was also originated in the Sacromonte back in the 16th Century. It is a flamenco festival, which revives the moorish nuptial rituals of the city, which has been preserved by the Maya family retaining its authenticity over the years. The show is produced by the prestigious dancer and choreographer, Juan Andrés Maya, and it brings together a number of well-known artists in the Flamenco world. The duration of the show is about 1 hours during which we will be able to experience this tribute to these typical dances originated in the Sacromonte. Additionally, Vida Flamenca was honored to produce the show “Savia Nueva” with bailaor IVAN VARGAS HEREDIA in Los Angeles as part of the “CUMBRE FLAMENCA” performance series in 2016. Discover an authentic flamenco Zambra and enjoy a night walk in the neighborhood of Albaicín before the show. In the neighborhood of Sacromonte, the most emblematic place of flamenco in Granada, we find the Cuevas/Caves Los Tarantos. Since 1972, Los tarantos offers an authentic show of Gypsy Zambra, in this place where the “duende”, the magic and the art come together to give life to Flamenco show pure and passionate. Every night in our caves preset a large cast of artist, many of them prominent figures from Granada Flamenco, which delight us at every show whit his art in dance, singing and guitar playing. THE ART & FLAVOUR OF OUR LAND We are located in the caves of Sacromonte, the birthplace of the art of flamenco. An art conveyed by the rhythm of the guitar, song and dance, where the spectator can live and feel the passion of the world of flamenco (Intangible Cultural Heritage of Humanity). Venta El Gallo is beautifully located facing the Alhambra of Granada, proposing fine Andalusian cuisine and a great flamenco show. Peña la Platería in the Albaicin. A very atmospheric Peña with activities for everyone, from shows to courses on the theory of flamenco or just spending a good time talking about flamenco with other aficionados. Founded in 1949, unlike other more private clubs, it regularly opens it doors to nonmembers for performances on Thursday nights (and sometimes Saturdays) at 10:30pm. There are many other places of interest to students and aficionados of this wonderful art. 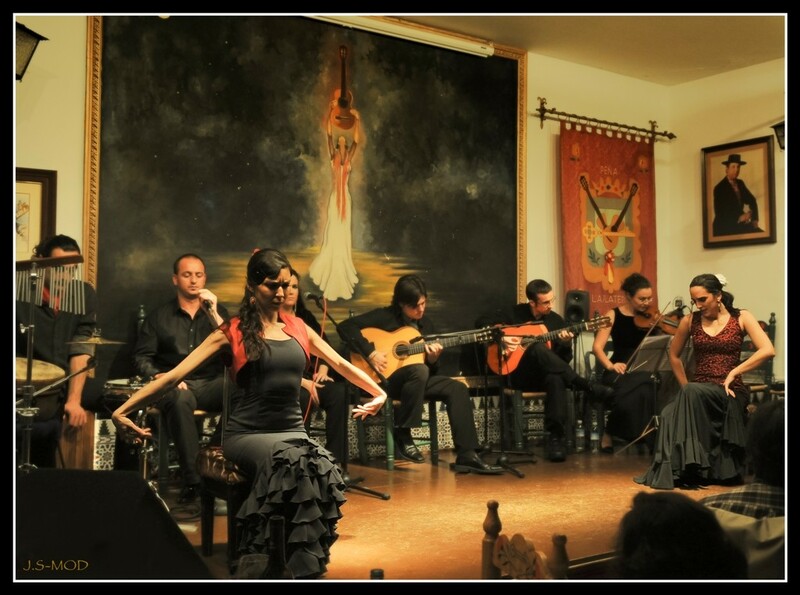 For example throughout the summer there are flamenco festivals in the villages around Granada, such as the one in Ojijares in September, where you can watch and listen to real flamenco of the people. And there are caves in Sacromonte where you can spend unforgettable magic nights – or equally unforgettable drunken nights…! Offers an extensive programme of performances held in various locations throughout the city, such as theatres, gardens, caves and parks. Although the festival is not dedicated exclusively to flamenco, the programme always includes the most important contemporary flamenco companies in Spain. This festival, dedicated exclusively to flamenco, takes place in the first week of December every year. The brightest artists from all over Spain come together in the most atmospheric of Granada’s theatres “Teatro Isabela Católica”. Editor’s Note: I can’t find confirming information for this festival. I hope it is still continuing. Has an annual programme entitled Flamenco Viene del Sur with performances from famous flamenco artists. The director of the Andalusian Institute of Flamenco, Maria Angeles Carrasco Hidalgo, revealed the Flamenco Viene del Sur 2015 program, a series that will celebrate its eighteenth edition. The program will feature 112 artists, with a total of 23 performances. Programming has taken into account gender equality, artistic excellence, and balances tradition and modernity as well as experience and youth. Granada flamenco artists perform with penas and dance schools (usually in March). 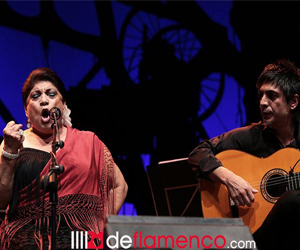 Concerts of elite artists such as the Farruco family or Sara Baras. Also worth checking the programme at this large venue in Granada. During winter and spring you can find flamenco every Saturday night in Sala la Chumbera del Sacromonte. With an awe-inspiring view of the Alhambra as a backdrop to the stage, you can admire flamenco artists, mainly Granadinos, with a great future ahead of them. On summer nights from July till the beginning of September there are shows in the Corral de Carbón from 10.30 onwards. Each year the programme of artists gets more exciting! 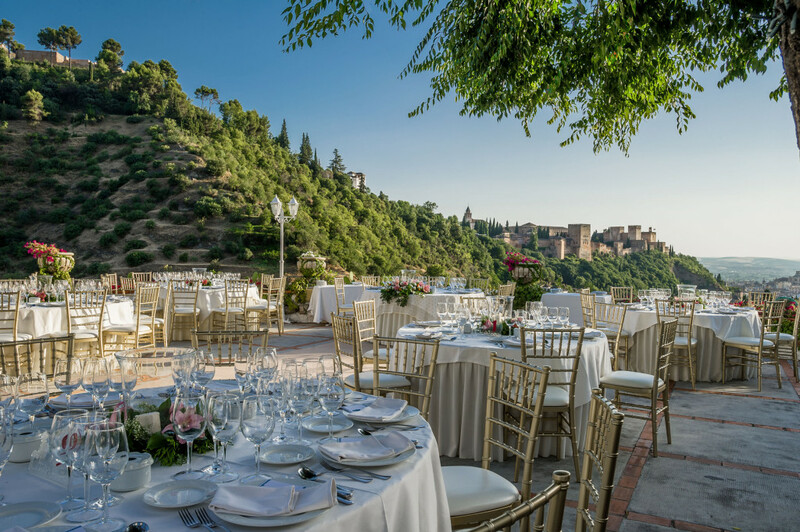 Every night during summer in the beautiful Jardines de Generalife in the Alhambra there are performances by the best known companies of Danza Española and Flamenco. The Arab Baths are one of the most important historic aspects of Granada, as they are symbolic evidence of the city’s religious turmoil all those centuries ago. The baths were built by the Muslims because they believed water was a symbol of purity, and so used it to cleanse their bodies, whilst the Christians, on the other hand, believed this to be decadent and heathen behaviour, and so had the majority destroyed, with only a ‘few left remaining. It’s easy to forget how important the baths were in Moorish life: they were a key focal point for social activity, second only to the mosque. They help to give us a glimpse into day-to-day life in Arab-era Granada. These are the first Arab baths in Europe to be reopened following their closure in the sixteenth century. The public bath houses in Granada take the Arabic name hammam. The most famous bath house in Granada is El Bañuelo, situated in one of the more privileged areas of the city – the Carrera del Darro. This is the street which runs alongside the river Darro, at the foot of the Alhambra hill, which was one of the main roads out of the city.